Occupying a prominent corner position bounded by Culmington Road to the east and Mattock Lane to the north, Pursewardens Close consists of an attractive cul de sac development of low rise apartments. The properties lie to the west side of Walpole Park, through which Ealing Broadway is accessed within fifteen minutes. Multiple shopping is available in The Broadway Centre, The Arcadia Centre, The High Street and The Broadway. Ealing Broadway Station, within approximately 20 minutes walking distance, provides quick access into Central London via First Great Western to Paddington (10 minutes), and Heathrow Connect (20 minutes). The Central and District underground services provide quick access into the West end and City. Ealing Broadway Station is due to be redesigned to accommodate the new Crossrail Service from Essex/Kent through the City, West End and Paddington to Heathrow and Maidenhead. Pursewardens Close consists of an appealing development of low rise brick apartments set around courtyard style communal gardens surrounded by lawns. The apartments total 88 in number and are arranged over three floors in either linked or stand close buildings, with pitched tiled roofs. There are thirteen entrances, each with carpeted flooring and entry phone security. Car parking is provided to all flats by way of garaging, car ports or open car parking spaces, each individually allocated. Flats all hold a lease for a term of 999 years from 1st January 1983. 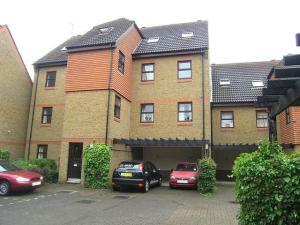 The development is managed by the residents' own management company "First Culmington Management Company (Ealing) Ltd".